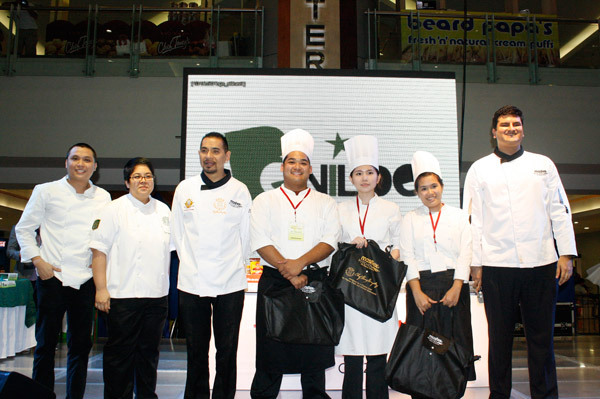 Masflex KitchenPro supported the 10th FLAVORS Magazine Culinary Challenge last October 23, 2013 held at the Event Center of SM Megamall. This annual culinary competition of FLAVORS Magazine with a theme of Festive Christmas Fares with a Twist, which signifies its commitment to the promotion of culinary excellence, is now on its 10th year. In this event, six schools battled it out for culinary supremacy. They were the De La Salle-College of St. Benilde, University of Sto. 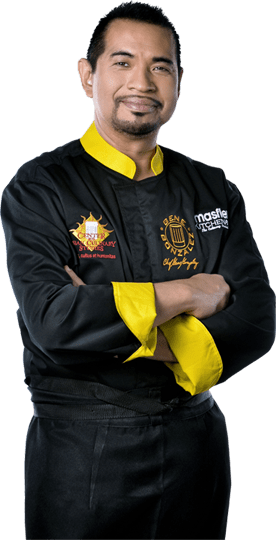 Tomas, Far Eastern University, Center for Culinary Arts – Oceana Branch, Professional Academy for Culinary Educaton, and MOST Institute. All teams were given a lumpsum time of two hours to prepare three dishes – a Creative Pasta Dish, a Main Dish (with Chicken as the featured ingredient) and a Dessert. At the 45-minute mark of the competition, the teams began serving sample portions to the judges and plating one serving for presentation. They used the Masflex Kitchenware and Masflex Pro Aluminum Cookware in cooking these dishes. Each of the dishes were scored separately and individually by the judges, then totalled and averaged to come up with the final score that would determine the winning team. In the end, it was the Centers for Culinary Arts Oceana Branch that prevailed and took home the grand championship followed by De La Salle-College of St. Benilde which also took home the Masflex KitchenPro Special Award for showing their creativity in doing different cutting styles in the dishes they prepared. University of Sto. Tomas won third place. All three winning teams took home a trophy for their school and individual medals for each member of the team as well as their own cash and prize packages worth over P70,000, P40,000 and P20,000 for the first, second and third places, respectively. The distinguished Board of Judges was headed by Chef Gene Gonzalez together with Chef Heny Sison of Heny Sison Culinary School, Ernest Reynoso Gala of Galastars Culinary, restaurateur par excellence Dr. Efren Vasquez of Cafe Juanita, Iloilo based Chef Rafael Jardeleza Adrillana II, and Flavors on Fire chef and owner Chef Michelle Adrillana. Masflex KitchenPro also conducted the Knife Anatomy game for the audience to keep them entertained. It was joined by college students who received different knives after they answered the questions related to knife anatomy. Masflex KitchenPro also raffled-out some knives to the audience and surprised them with an AVP presentation where Chef Gene did the Fruit Ninja [i.e. sliced the watermelon, celery stalks, banana and apple in mid-air using the Masflex KitchenPro 10″ Chef’s Knife]. Congratulations to all the schools that participated in this contest and continue to hone your skills to become true KitchenPros.